Most Christians are familiar with Luke’s description of the events on Pentecost in Acts 2 and their significance in the establishment of the early Church. Few, however, are aware of the Jewish backdrop to this day. 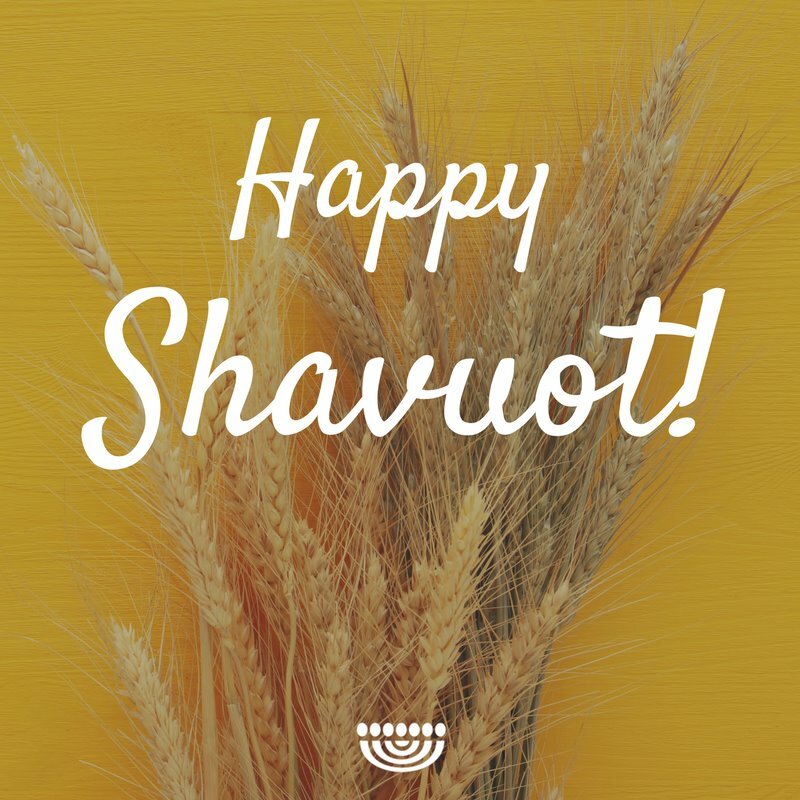 The Jewish name for this holiday is Shavuot, meaning “weeks.” Shavuot is a harvest festival, celebrating the end of the barley harvest and the first fruits of the wheat harvest (Ex. 34:22; Num. 28:26; Deut. 16:10). The term Pentecost is a Greek word referring to the fiftieth day of counting the harvest after Passover (Lev. 23:15-16). It is one of the three pilgrimage festivals when Jewish people travel to Jerusalem (Ex. 23:16-17; 34:22-23; Deut. 16:10, 16). According to Jewish tradition, Shavuot represents the annual commemoration of the day God gave the Torah to the nation of Israel on Mount Sinai (Ex. 19:1-6). This means that the entire nation was celebrating the anniversary of God’s covenant with Israel – on the same day God fulfilled His promise to send the Holy Spirit. The parallels between the giving of the Torah and God’s gift of the Holy Spirit reinforce the significance of the arrival of God’s promised Spirit on Pentecost. Fourth, Peter’s proclamation of the Gospel resulted in 3,000 new believers (Acts 2:41). Luke’s reference here suggests the restoration of the 3,000 individuals who died when the nation rebelled against God by worshiping a golden calf at the base of Mount Sinai (Ex. 32:1-29). Finally, the celebration of Shavuot was the day Israel offered God the first fruits of their wheat harvest (Num. 28:26). Since Shavuot is the celebration of Israel’s first fruits, Luke uses this relationship to show how the Spirit begins God’s work of redemption (Rom. 8:23). The Hebrew Bible looks forward to the events fulfilled on Shavuot. The Torah anticipated a time when Israel would fail to keep God’s commandments – but that is not the end of the story. God also pr omised to bring His people back to their land and circumcise their hearts (Deut. 30:1-6). The prophet Jeremiah anticipates a “new covenant” between God and Israel, when God would engrave His covenant upon the hearts of His people, unlike the covenant He wrote on tablets of stone (Jer. 31:31-34). The hope for a restored relationship with God is at the heart of Jeremiah’s promise of a renewed covenant with Israel, because God would forgive His people and transform their hearts (Jer. 31:33-34). Luke points to the fulfillment of these promises on Shavuot (Acts 2:1-4, 17-21, 33, 37-39). Thus, the gift of the Spirit on Shavuot was evidence of Messiah’s redemptive work and the affirmation of the new covenant. The indwelling of God’s Spirit within His people indicates a shift in the way God relates to us, as He transforms the hearts of His people through the Spirit’s power.